The 10 Best After School Programs in New Hampshire! After school programs give parents peace of mind. They know their kids are safe and engaged in positive activities until they can pick them up at the end of their work day. 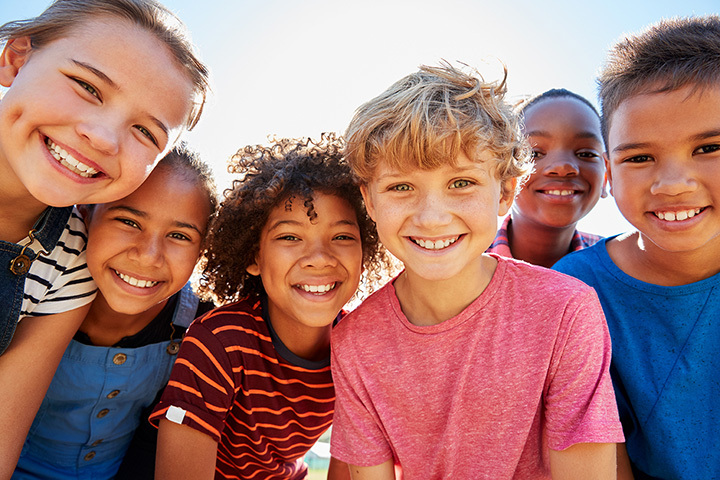 The following after school programs offer a nice range of activities and ensure that children are kept safe after school while their parents are at work. The Boys & Girls Clubs of Central New Hampshire operate after school programs in 10 elementary schools within the Central New Hampshire region. The programs are for Kindergarten through 8th grade, with drop in programs for those through senior year of high school. Activities include art, sports, physical fitness, homework help and leadership development. There is a teen room available for those who sign up for the drop in program. Programs at some of the schools serve dinner in the evenings. Fun Program is a licensed after school program for kids in elementary school. Planned activities abound, including both indoor and outdoor sports and recreation. Arrangements can be made for transportation from school to the Fun Program center, too. Featuring programs in Concord and Manchester, Girls Incorporated of New Hampshire is a girls-only program that serves to strengthen girls aged 6-18 through education and independence. Their after school programs include mentoring by adults in the program, health and fitness improvement, leadership classes, drug abuse education and more. The organization has buses that pick girls up at their schools each day and bring them to one of the centers. No girl will be turned away, even if her family can’t pay. Starting at age 10, New Heights has after school programs that engage kids in grades 5-12 in a wide range of outings, educational experiences, and physical and emotional discovery. Kids learn science, technology, arts and more. They take field trips for both fun and learning. The New Heights Bus picks up kids in Portsmouth schools. The Atkinson area is fortunate to have Mad Science in their region. Their after school programs for elementary school-aged kids make learning fun. They’re currently working with rockets, magnets, periscopes and more. All programs are aligned to STEM objectives. The Bow Youth Center runs after school programs for kids in kindergarten through eighth grade. There is an art room, a game room, a teen rec area, and help with homework every day. The center schedules hiking adventures and other off-site activities. Transportation arrangements can be made, and kids can stay until 5:45 p.m.
After school care is available for kids in Kindergarten through eighth grade at the YMCA in Portsmouth, Londonderry, Manchester and Goffstown. Transportation is available at schools in these regions. There is structured homework time as well as a variety of activities including swimming, fitness and arts & crafts. New Morning Schools runs both before and after-school programs in schools in the following New Hampshire towns: Auburn, Bedford, Candia, Dunbarton, Hooksett, Manchester, Milford and Weare. Designed for kids in Kindergarten through Grade 6, there are a variety of activities planned, including homework help, arts & crafts, and both indoor and outdoor recreation. Alpha-Bits Learning Center provides after school care for children up to 12 years of age. Good homework habits are instructed, as are sports and good sportsmanship. Transportation from school to one of two Manchester centers is available. The Epping Recreation Department runs an after school program in conjunction with Epping Elementary School for children of elementary school age. They work on homework and take part in a variety of activities including indoor and outdoor sports and physical fitness. They have snacks and reading time available, too. Kids may remain at the program until 5:45 each weekday.